Everyone knows how to talk, but communication is a whole different animal. The ability to listen without interruption and the knack to speak with clarity and intention are not only saving points in a marriage but also among business partners, employees and customers. I would venture to say we all have work to do in this area; as effective communication does not come easily. However, without trying one’s hand at productive communication, things can go downhill, fast. One way to prevent the downhill spiral comes in the next skill. This one can be summed up in 11 golden words, “Do unto others as you would have them do unto you.” To attain that Golden Anniversary, we all hope to someday reach in whatever area of life, the flair for respect comes in most handy! Respect can also occur in the next ability. Owning a thriving business takes commitment and determination through the good times and the bad. And much like marriages – organizations should celebrate their achievements to see how far they’ve come and to recognize the grit it took to be where they are today – whether you’ve been in business for a year or 150 years. 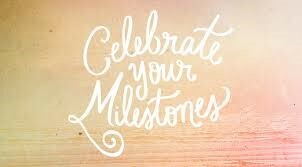 Celebrating the fact that you are STILL here and making an impact – in your own life and in others’, helps us all to see just how much we already have and how lucky we are. I, for one, feel lucky to be a part of The Windham Eagle family.